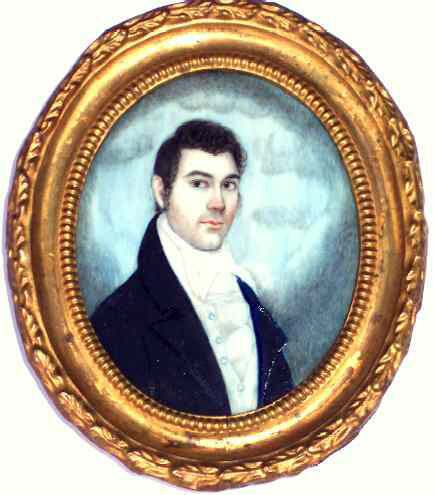 Presented here, a wonderful miniature Watercolor Portrait on Ivory of a very handsome gentleman. Dressed in the fashion of the day, c. 1820-30, he is presented against a background that resembles clouds. Once again the camera is playing tricks here as the blue is not bright but more of a soft teal color. The detail here is incredible and the work of a very talented artist.